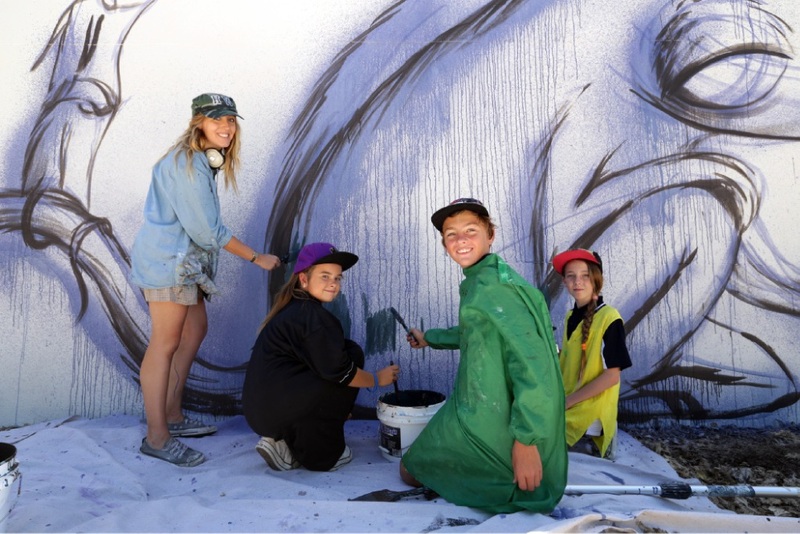 The Year 6 students worked with Victoria Park artist Hayley Welsh last term to design and paint a mural at the centre. Welsh said the mural theme was “inclusion” with the message “When we lift each other, we can fly” incorporated into the design. “The City of Wanneroo asked if I could get the kids involved so I decided to do some workshops with them,” she said. “We did workshops on how I develop my creatures and where they come from and the kids were encouraged to create their own. “It’s all about listening to your inner voice; they were encouraged to let their thoughts out through these creatures. After holding the workshops at the school in November, the Victoria Park resident and the students painted the wall in the lead-up to Christmas. “That’s the first time I’ve had kids involved in hands-on painting; it was really nice to have them involved,” she said. The City of Wanneroo co-ordinated the project, which aimed to increase the centre’s visual appeal and create a sense of pride and ownership among students. 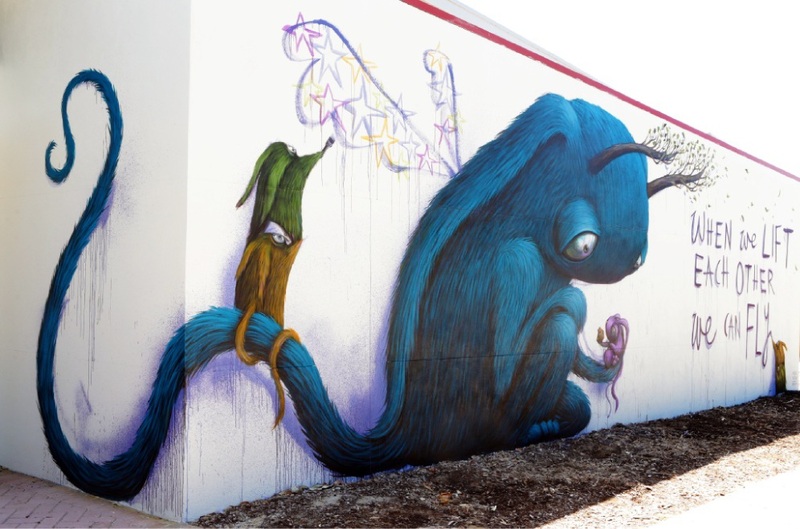 Welsh said she did 18 murals last year, most in WA, but this was her first with the City and she hoped it would lead to more projects in the northern suburbs.